Jun 1, 2018: Is there really a way to turn ordinary children into great children? YES! The stories of one’s ancestors make children, good children. They accept what is pleasing to the Will of the True Guru, and act accordingly. Whatever Guru Ji says is True – even if it defies logic or reason. For instance, Bhai Lehna Ji was told to climb a tree and shake it so that cooked sweets (mitthiaaee) would fall to the ground. Bhai Lehna shook the tree and sure enough, sweets fell. Guru Ji has the power to redeem those who society typically casts off as reprehensible. And those are just a few Sakhis from Guru Nanak Dev Ji’s time! There’s so much more Sikh History and so much more to learn! Essentially, any time works, but I’d recommend the evening time if your kids are of school-age, so you aren’t trying to cram it in it before school or work. The following are a few recommendations on how to tell Sakhis. Know your stuff – or at least more than the kids do! You can only teach someone else something that you know. In other words, you can start listening to Sakhis too! There are a number of resources that exist to help you learn the history if you don’t already know it. For some recommendations, see the resources section below. Set some time aside, ideally every night, where you can listen to Sakhis or Katha. You’re in luck here because most Katha is geared towards adults. If Punjabi-language is a barrier, don’t fret! There’s so much prachaar (religious preaching) now in English too. Again, see the resources below for a list. If you’re listening to Katha or reading a book for adults, consider listening twice (for Katha) or reading once then skimming once (for print sources). Time one is to learn and enjoy for yourself. Time two is to take notes so you can share what you learned in a child-friendly manner. PRO TIP: Start a notebook dedicated to Sikh History notes! This last option requires much less work: Read Sikh Comics or Sakhi books written for children. Of course, I still highly recommend listening to Katha yourself so that you also can reap the benefits of listening to Sakhis! When telling the Sakhi, use the following tips to increase child engagement and fun! HAVE FUN! Enjoy telling the Sakhi to your children and it’s likely they’ll enjoy Sakhi time too! After kids have enjoyed listening to the Sakhi, it’s time to think about what the Sakhi tells us. Younger kids may need more help in this area. Often times, however, they surprise us with the insights they glean. Now is a great time to ask age-appropriate questions about the story and start a discussion about the central message(s) and applications to our lives. For younger kids, simply asking, “What was your favorite part?” and “Why?” is a great start. You may need to help them find their words for the “Why?” part. However, first allow them the chance to try to form their thoughts. If after 20-30 seconds they need help, THEN give it. For kids who are a little older, you can ask them, “What do you think the central or takeaway message is from this Sakhi?” Again, allow some wait time (20-30 seconds) before offering a prompt or help. If kids ask you a question about the Sakhi that you don’t know, don’t be embarrassed or ashamed to let your kids know “I don’t know.” It’s important that our kids know that we don’t know all the answers and we’re still learning, too. Some things, we may never have the answers too, either. And that’s ok. Only ONE Entity has all the answers and that’s Guru Maharaj Jee. Also, no need to apologize for not knowing. Chances are if they’re anything like the questions I’ve been asked (e.g. What color were His shoes? What did they do with Guru Gobind Singh Ji’s elephant that died in Anandpur Sahib? How much did he weigh?) they can be REALLY out there – about a very specific, intricate detail that has no bearing on the overall message. I’d like to say, however, it’s wonderful that they ask these questions, because it usually means they’re interested. When faced with this challenge, I normally: 1) empathize (“Oh hey – I wonder… what DID happen to the elephant?! ); 2) be clear that I don’t know the answer (“I don’t actually know…”) and; 3) if the kid is old enough, encourage them to find the answer and report back. You could also encourage guessing, if appropriate. Importantly, if you do guess, be clear that you’re guessing (e.g. “I don’t actually know. Maybe they cremated the elephant after reading Kirtan Sohila?… What do YOU think happened?”). Beware the tangents: Kids LOVE to talk and they can ask the most randomest of questions and go on the most wildest of tangents! Be careful that they don’t hijack Sakhi time to talk about some other random event that happened. Keep Sakhi time to Sakhis! Set aside other time to discuss other things. Of course, if they’re making a relevant connection from the Sakhi to their lives, encourage it! It’s incredibly gratifying when kids begin to understand how the lesson applies to their lives. Furthermore, if your children enjoy arts and crafts (or if they have trouble sitting still for 10-15 minutes), you can consider printing out a scene from the Sakhi (if you find it online or from the book you’re reading) for kids to color in while you share the Sakhi with them. Afterwards, to enhance literacy skills, kids who are in Grades 2+ can even create short storyboard about the main characters, the plot, the problem, and the resolution. You could even encourage them to re-tell the Sakhi the next day to you using their storyboard so they have a better chance of remembering the Sakhi and its message. This will also improve children’s communication skills! From Good Kid to Great Kid! Going back to the title of this post, Baani explicitly states that listening to Sakhis turns ordinary children into extraordinary children! How?! 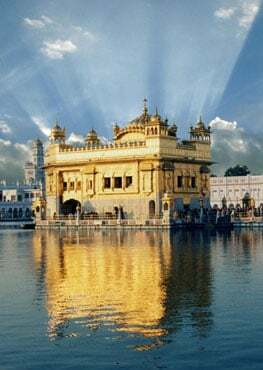 Because Sakhis inspire by giving a glimpse of the glory of Guru and Waheguru. Listening to Sakhis increases our shardaa (faith) in Guru Ji. They also give us solace when we (think we) are going through a difficult time. Moreover, they remind us of our purpose of life. In other words, Sakhis keep us grounded and connected to what’s important in life. Listen to the stories of the devotees, O my mind, and meditate with love. Anything that can keep us grounded and Connected (to Guru) will automatically turn any person (man, woman, or child) into great children! After all, aren’t we all children too? Children of Guru Gobind Singh Ji! Therefore, the way I see it, Sakhis aren’t just important for our younger-aged children, but for ALL of us!